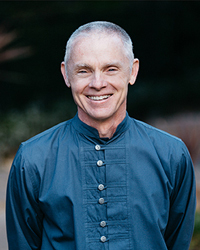 Adyashanti, author of Falling Into Grace, The End of Your World, True Meditation, Emptiness Dancing and The Impact of Awakening, dares all seekers of peace and freedom to take the possibility of liberation seriously. His spontaneous and direct teachings have been compared to those of the early Zen masters and Advaita Vedanta sages, yet are free of any tradition or ideology. Adyashanti was asked to teach by his Zen teacher in 1996. Since then, many seekers have awakened to their true nature while spending time with him. For more information, visit www.Adyashanti.org.